It looks like Lenovo has been installing adware onto new consumer computers from the company that activates when taken out of the box for the first time. Superfish appears to affect Internet Explorer and Google Chrome on these Lenovo computers. We have temporarily removed Superfish from our consumer systems until such time as Superfish is able to provide a software build that addresses these issues. As for units already in market, we have requested that Superfish auto-update a fix that addresses these issues. He also says that users can refuse the terms and conditions when setting up their laptop, which means the software will be disabled. It doesn’t sound that straight-forward, however. Lenovo installs a MITM cert and proxy called Superfish, on new laptops, so it can inject ads? Someone tell me that's not the world I'm in. 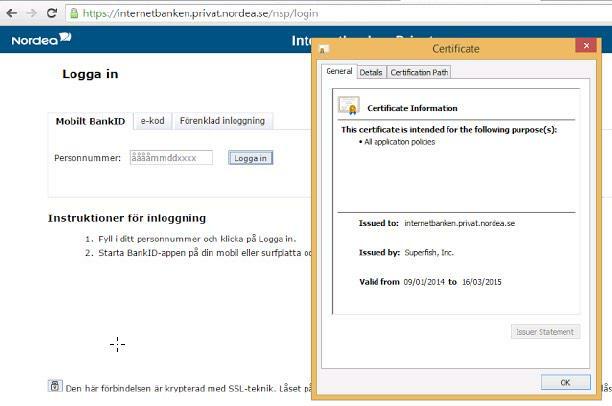 Other users are reporting that the adware actually installs its own self-signed certificate authority which effectively allows the software to snoop on secure connections, like banking websites as pictured in action below. This is a malicious technique commonly known as a man-in-the middle attack, where the certificate allows the software to decrypt secure requests, yet Lenovo appears to be shipping this software with some of its products out of the box. If this is true — we’ve only seen screenshots so far — Superfish could be far more dangerous than just inserting advertising. Superfish is identified by antivirus products as adware and advised to be removed. One user created a video that details how to remove the software manually, for those that are affected. Even though Hopkins says the company has stopped installing the software on computers, it appears that’s only “temporary” until the company behind the software makes some tweaks to stop pop-ups. Reports of Superfish being pre-loaded on Lenovo computers have appeared on forums as early as mid-2014. 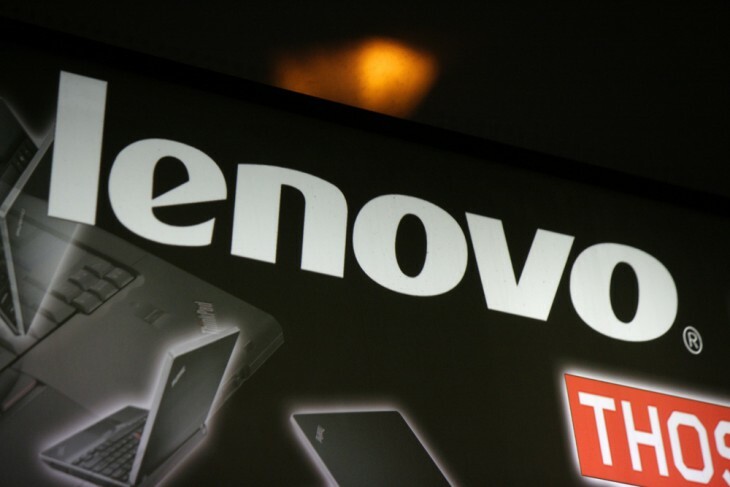 If this is as widespread as it appears to be, the news is not good for Lenovo computer owners. If you own a Lenovo machine, let us know in the comments if you find the Superfish software on your machine. We’ve contacted Lenovo for comment on the Superfish software and will update when we hear back. Update: Mozilla Firefox does not appear to be affected by the SSL man-in-the-middle issue, because it maintains its own certificate store. Update 2: Lenovo contacted us with the below statement and says that it has disabled the Superfish software and will not bundle it in the future. The company did not, however, respond to the root security certificate flaw and does not appear to have fixed it. 1) Superfish has completely disabled server side interactions (since January) on all Lenovo products so that the product is no longer active. This disables Superfish for all products in market. 2) Lenovo stopped preloading the software in January. 3) We will not preload this software in the future. Update 3: A developer has created a website that helps Lenovo owners quickly check if they’re affected by the root security certificate and offers suggestions on how to fix if they are. Update 4: Lenovo has released detailed instructions on how to fully remove Superfish from affected systems.